Pictured here in "Seaweed Wrap"
Usually $19.99, they're on sale in this week's ad for $15. 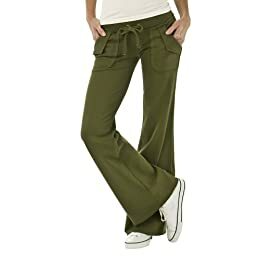 Not too bad for a pair of pants that will quickly becoming your favorites! 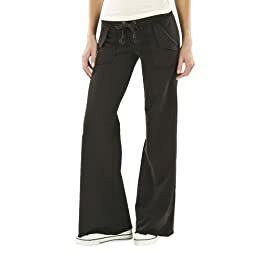 They feel like sweats but don't fit like them, so you can wear them while on errands or walking the dog without fear of judgment from Stacy and Clinton. I went back and forth for a while choosing a color but eventually settled on the eggplant purple (larger color selection in store than online). Pictured here in "Java Black"